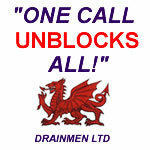 Cardiff Drainage - Drainmen LTD can use no dig technology or relining for a fast and cost effective repair to your drainage system in The Cardiff area. We can carry out drain relining on small pipework from 100mm up to large 1.5 metre culverts. Contact us for more detailed information of how the process works. 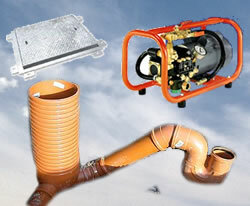 We can also provide patch liners for pipework from 60mm up to 1.2 metres. How does No-Dig technology work? This is the quickest way to repair a drain and involves no digging. A new lining is inserted into the existig damaged pipe and this bonds to it making a pipe inside a pipe. This is done with the minimum of disruption.